Rachel Cox, Conductor and Co-Founder, loves to share the joy and beauty of music with children. She holds a Master’s Degree in Vocal Performance and Pedagogy from Brigham Young University with a minor in Choral Conducting. She then completed post-graduate opera studies at the AIMS Institute in Graz, Austria. Rachel has served as conductor for both the TU and DSU Women’s Choruses. 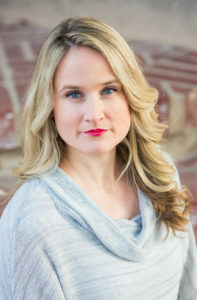 She has also been a member and soloist with fine choral chamber ensembles including the BYU Singers, the Lexington Chamber Chorale, the Deseret Chamber Singers and currently sings with and serves as president of the St George Chamber Singers. Rachel has toured and performed throughout the U.S. and abroad, including performances in Canada, South Africa, and throughout Western Europe. Rachel loves to teach and has been a teacher in many capacities including private and group voice classes, Vocal Literature and Sight Singing classes at BYU, TU and DSU. She is a Let’s Play Music teacher, maintains a private voice studio and is mother to four amazing children. Harrison Budge, Assistant Conductor, has been directing choirs and teaching young children in many different capacities since he came to Utah in 2013. He has been an Assistant Director of the Concert Choir at Wasatch Elementary School in Provo Utah, the Music Teacher at Adventure Time Preschool, a Choir Director for several LDS Ward Choirs, and the Assistant Director of the BYU Men’s Chorus during their African Humanitarian Trip in the Summer of 2015. While obtaining his Bachelors of Choral Music Education at Brigham Young University, he was tutored in conducting and rehearsal techniques by Rosalind Hall and Jean Appolonie, and was a private conducting student of Dr Ronald Staheli. Harrison is honored to be a part of St George’s first classical children’s choir. Mary Illions Wilde, Co-Founder & Artistic Advisor, has been a member of the St. George Chamber Singers since it’s second season. She previously sang with the Minnesota Chorale (the symphonic chorus of the Minnesota Orchestra), World Voices, and the Radio Choir for NPR. She has had the opportunity to participate in a wide variety of projects and professional productions, such as Verdi’s Aida, Mahler’s Symphonies, and world premier pieces composed and conducted by Eric Whitacre. Wilde has also done solo performances and recordings, including a recent series at Grace Episcopal Church benefitting the community soup kitchen. She and her husband are parents to 8 sons, who also enjoy and actively participate in music. 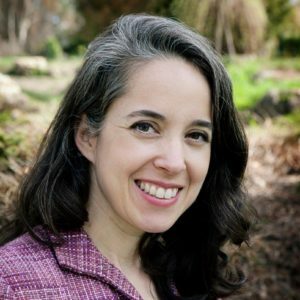 Professionally, Dr. Wilde is a pediatrician and owner of Imagine Pediatrics, a consulting practice focused on child behavioral issues. Cindy Coombs, Accompanist, began her accompanying career in 7th grade as the accompanist for her junior high school show choir. Since then she has accompanied innumerable concerts and recitals. Cindy earned a Bachelor of Music degree in Music Education from Brigham Young University. A versatile singer as well as accompanist, she performed in Vocal Jazz, Opera Sketches, and the BYU choirs under the direction of Mack Wilberg and Ronald Staheli. While at BYU, Cindy was named a Madsen Music Scholarship recipient and taught sight singing courses to fellow undergraduate music majors. After graduating from BYU, Cindy taught General Music and Choir at Oak Canyon Junior High School in Lindon, Utah. She organized and directed Footnotes, a community children’s choir in Panguitch, Utah. From 2011-2015, she accompanied the Pine View Middle School choirs. Cindy is thrilled to be making music with the St George Children’s Choir. When she is not making music, she enjoys cooking, hiking and playing outdoors with her wonderful husband and four children.